The underlying flaw is that he repeated highly specious statements from highly tainted sources rather than consulting academic sources such as those available at scientologyreligion.org. I read Jon Emont’s comments about the Scientology religion in “Why Are There No New Major Religions?” While I appreciate inclusion of my 67-year-old religion as indicative of its prominence and stature, notwithstanding its relative youth, I found fundamental inaccuracies in his piece and would like to suggest more useful sources for your future reference. The underlying flaw is that he repeated highly specious statements from highly tainted sources rather than consulting academic sources such as those available at scientologyreligion.org. Likewise, he repeated long-debunked mythology about Scientology Founder L. Ron Hubbard when accurate information is readily available at lronhubbard.org. And as for the “independently estimated” conjecture on the number of Scientologists? A look at the number and size of new Scientology Churches and related facilities observably debunks the characterization you repeat from utterly unreliable and jaundiced sources. 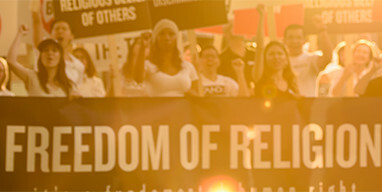 For an accurate view, please see the panoply of Churches and activities of its members at www.scientology.org. Rather than repeat unsubstantiated reports I invite both you and Mr. Emont to consult these official websites for a more informed and accurate portrayal of the religion of millions of individuals around the world.